A few weeks back this little product popped through my letterbox which was a nice little surprise as I had no idea I was getting it. Witch have been a brand I've been wanting to try for quite some time but couldn't get my hands on it as my local Boots doesn't stock it, so you could probably guess my excitement when I opened the envelope. Two reasons why I wanted to try a product from their range was because 1. Their called 'Witch' 2. They use natural ingredients with their main one being Witch Hazel (never heard of that? Dont worry I hadn't either). Over the past few months I've been loving finding new skincare products that consist of natural ingredients and are cruelty free. I'm not sure why I have taken a sudden liking to natural ingredients but I suppose it's just because the amount of products I put on my face I want my skin to be looked after instead of putting more chemicals on it after taking off my makeup, and of course since getting a Guinea Pig I'm more aware of products that are cruelty free because why should little cute fluffy guineas and rabbits suffer for us? Anyway I'm getting side tracked back to the Blemish Stick. Witch Hazel which is the main ingredient 'Witch' uses in their products 'naturally cleanses, tones and soothes, leaving your skin perfectly balanced, soft and healthy looking.' Sounds pretty amazing am I right? The Witch Blemish stick claims to help break down excess oils and fight bacteria that cause spots. What I thought was unusual about this product than any other spot treatment I've ever tried that you can dab the product on the affected area as often as required when a blemish starts to appear. So because theres no "only apply every 4 hours" you can re-apply it when you think necessary which is pretty amazing and because it's natural products you don't have to worry about constantly dabbing some horrible chemical onto your skin. Honestly when I received this I didn't have high hopes for it at all because I guess I've tried so many spot treatments of all price ranges and the best of them never work, however this little stick definitely surprised me! 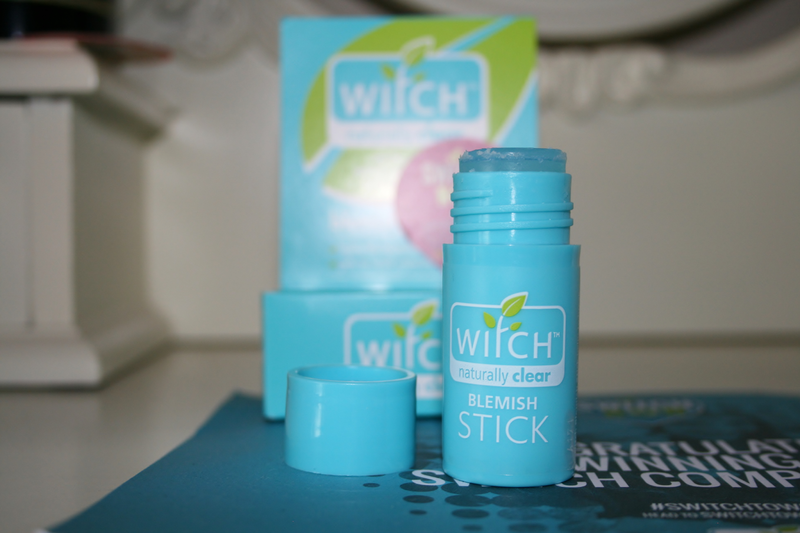 Have you tried the Witch Blemish Stick? Wow this sounds fantastic! Like you, I don't get too many spots, but this sounds as though it would be perfect for those pesky little suckers that pop up when you need them the least! Sounds amazing. Love the fact that they use natural ingredients! I need this, I love natural skincare! Never heard of this brand but sure sounds like a great product. This seems like a great product, I definitely should try it out!